I have now moved to Sandwich I have a golden retriever called Yuki, she is great with kids.I also have a siamese cat called Tora, who is quite playfull. I have 2 grown up children and have been childminding for 32 yrs. I take the children out and about a lot .I can pick up from Sandwich infants school as it is only a short walk from my house. I have many years experience as a child minder, I've looked after babies and also children up to secondary school entrance and beyond,they all tend to stay with me until they are 12 onwards. I like to treat the children in my care like they are part of my family. I have also looked after kids with special needs. I go to parks, soft play areas, farms and the seaside (obviously depending on the great British weather) I'm a very active person who's full of energy. I have my NNEB health and saftey.First Aid, ,saft gaurding children and my makaton 1,2. and im all ways doing more.Im CRB check OFSTED registered . My fees are tailored to individual circumstances and I would be happy to discuss this with you. Below are the latest reviews for jane Langley. Please note that reviews represent the subjective opinions of other Childcare.co.uk users and not of Childcare.co.uk. Parents must carry out their own checks and references on childcare providers to ensure that they are completely happy before enaging in the use of their services. Jane looked after our four month old twins, before we moved house. We found her reliable, straightforward and really helpful. She also helped with babies clothes and was very efficient. Jane has looked after my son since he was one until he turned three (and she moved away). We could not have been happier to have found Jane and she came highly recommended. She has been an extension of the family and very flexible. My son always comes home telling me about the excursions they've had and places they visited. His language skills are exceptional for a child his age and this is in no small part due to the care and attention that Jane has given him. I cannot recommend Jane highly enough and would be happy to provide a reference. So glad I found Jane - she's amazing! Jane has looked after our daughters for two years now (the girls are currently aged 2 and 5). This included school runs and school holiday care. The girls adore Jane and always come back home animated and full of excited stories about the fun things they have been doing all day. Jane packs their days with activities and adventures, including trips to Chessington, the sea side, the park, soft play, Hobbledown, picnics, cinema - this list goes on. Jane is like part of the family - she has made changing work requirements easy, and supported us all the way. She has also done an amazing job with our youngest's toilet training and has worked wonders! She really cares for the children - remembers birthdays and has little parties for them - they love it!! 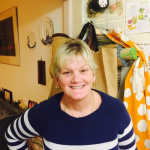 Jane is fun, energetic, caring and has a real sense of humour - I would recommend her in a flash!! Great kids to look after miss them greatly even though I still have them ad hoc . My son was with Jane from 10 months to age 4, recently leaving her to start school. Jane is seen as an addition to our family and my son adores her. She made returning to work much easier for me, collecting and dropping off my son when she could and being totally flexible if I needed to swap my days or extend or reduce my hours. She has such a wealth of experience in looking after children I often sought her advice on many issues. My son had a really enjoyable 3 years with Jane and I hope to have her look after my daughter when I return to work after mat leave. I cannot recommend Jane enough and would happily give her a reference. My son of 19 months has been with Jane for 9 months. I can tell that he absolutely adores her as he doesn't look back when we drop him off in the morning and always gives her a kiss and a wave goodbye in the evening. Jane takes the children out everyday - she regularly takes him swimming, to Chessington, the seaside, various parks and soft play centres depending on the weather. Both myself and my partner work in central London and the hours can be unpredictable. Jane has been extremely flexible and accommodating and has always been happy to swap days and extend hours to make our lives easier. I would highly recommend Jane.